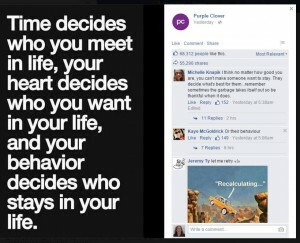 A friend’s recent post on FaceBook prompted me to write on the power we have to change relationships, expelling some and remaining with others more valuable to us. I love it when people post this type of nonsense… but I’m happy to burst the bubble, since I have learned that the Holy Spirit is in charge in this department… just forgive… that’s our job. And don’t be so concerned about what you want… since you don’t even have a way to know your own best interests, it’s best handled by Him also, however; while an arrogant ego believes it knows, your progress will be delayed by it. Discussion ensued, and I continued to elevate my thoughts on the subject of who or what is in control in this world and whether we really have much control at all. Indeed, I have proven to my own satisfaction that I have ALL the control within certain parameters. It is an involved issue regarding what we choose to see as having value with each thing in the world in comparison to the value of things beyond this world — supremely at its cause. I believe that time is a tool, used to be exposed to more people or to remain separated. The second part could be worded such that you decide who and what you see by what you want. Who stays is more a function again of what you want to see. All power is given unto me in heaven and in earth. (Mat 28:18) means that what we choose to see our power gives the universe to demonstrate itself with every idea, and Truth has different outcomes in illusions when seen from each limited perspective. Naturally, none of us have the power to change God’s laws, nor would we want to, since His laws all work to everyone’s benefit, ensuring our eternal safety, and the certainty that we will forever remain a part of our source, whole and complete. In a world of illusions where it appears possible to defy God’s laws, it certainly does promote depression. The world is terribly depressing because it seems to have no purpose. Indeed, it is true that without you, it has none. Life goes on with one moment passing to the next, each with a chance to explore eternity in the now, where we share our offering of love in this eternal moment. 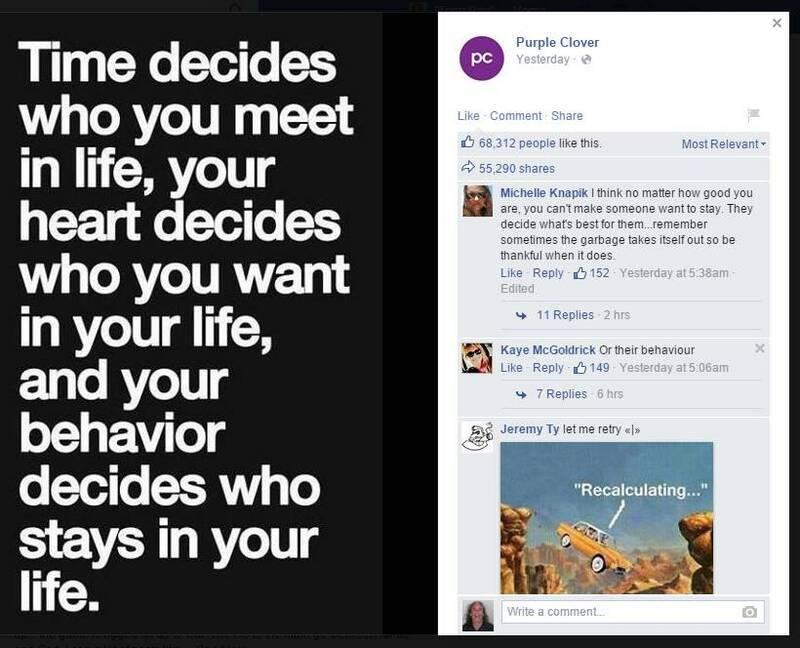 How can we know the cause of things or their purpose? Do you know of the One who guides? Have you asked yet, or believe you must try to judge others their worth? If you knew that their value in heaven is exactly as mine and yours would you try to assert yours as more important? Would you have a reason to attack or steal? 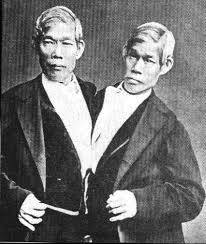 Conjoined twins Eng and Chang Bunker were born on 11 May 1811 in Siam, now called Thailand. They were joined at the chest and although the knowledge was not available at the time, it would have been possible to separate the twins using today’s medical techniques. The author finds it an example of the Holy Spirit putting people together for a purpose and us apparently having little control. How can you possibly remember going to sleep? You can remember Heaven when you sit very quietly and you clear your mind, offering a blank . I’ve been promised many times there’s no place more real than heaven but in illusions. Can you argue this when your memory is so short? Join with lighthearted optimists who share hope and trust in The One That Is as we now transform the place into one of beauty — one earth wizard at a time. But don’t get attached. This place is temporary… heaven eternal is our only home, and you will remember this in perfect time. Meanwhile, you have work to do. It’s a process of forgiveness, where miracles are commonplace. It is only when the light appears that we realize we have been living in a world of shadows.